Around 50 Iowa colleges and universities offer accounting degrees, with 10 schools awarding advanced degrees in accounting. The University of Iowa is the most highly regarded for its accounting program, having made the 27th position in the Public Accounting Report’s 2013 survey of undergraduate accounting programs (9th place in the medium institution category). The university is also ranked in the top 100 U.S. universities by U.S. News and as the 94th undergraduate business program in the country by Businessweek. Other high quality accounting programs are available at Iowa State University and the University of Iowa to name a few. A university degree with an accounting concentration is one of the requirements for becoming an accountant – and choosing the right degree is the first challenge you’ll face in your career. If your goal is to become a Certified Public Accountant (CPA), you can’t afford to choose anything but the best program with full AACSB accreditation, excellent teaching and great opportunities for real-world experience. In order to assess the quality of an accounting program, you should take a look at its standing in national rankings, faculty credentials and student evaluations. 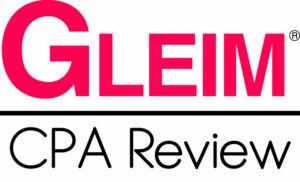 The achievements of past graduates can also tell you a lot about the efficiency of a program – check recent CPA exam pass rates, graduate employment statistics and student awards. A good program should have consistently good results, so make sure to ask for the most recent information available. Moreover, the best accounting programs offer a blend of intensive coursework and opportunities to gain experience in the field. Make sure that the course offers a thorough curriculum supplemented by internships, field projects and extra-curricular activities. Take a look at the student organizations present on campus and at the employers connected to the university. Your course is your gateway to the business world, so make the right entrance at the start of your career! Today’s accounting is not just about accuracy and attention to detail: it is more and more about decision-making, in-depth analysis and understanding of business. Accounting can take you far in the business world – but like all worthwhile goals, becoming an accountant is not easy. You will need to complete at least a four-year Bachelor’s degree in order to work in entry-level accounting positions. However, requirements are much higher if your goal is to become a CPA. You will need to earn 150 credits with an accounting concentration, which are usually completed within five years. Moreover, you will have to pass all four sections of the difficult CPA examination and you will also have to pass an ethics examination. Depending on your state’s accountancy rules, you will also be required to complete one or two years of accounting experience under the supervision of a CPA before you are granted a license to practice as a CPA. The Iowa accountancy board requires candidates to complete a degree in accounting before they can sit for the CPA exam. Alternatively, candidates may take the CPA exam if they hold a degree in business and 24 semester hours in accounting, or an unrelated degree with 24 semester hours in business and 24 semester hours in accounting courses. 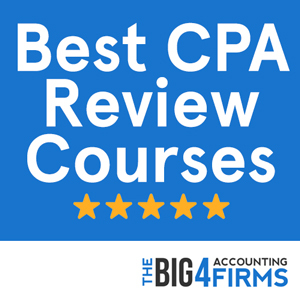 In order to apply for a CPA certificate, candidates have to complete 150 semester hours of college education as well as two years of experience in accounting. Moreover, they need to pass the CPA examination and the AICPA ethics examination in order to be granted licensure. With a mean annual salary for accountants and auditors of $62,180 in 2013, Iowa falls below the national average. The mean annual salary rises to $67,680 in the Des Moines area, but decreases significantly in less developed areas. Such variations are common in accounting, where pay levels can be strongly influenced by factors like location, experience and qualifications. This variation is apparent in the huge gap between the lowest paid and the highest paid accounting professionals in Iowa: while the 10th percentile earns almost $38,000 per year, the 90th percentile earns over $91,000. This shows that an individual’s choices and achievements are a better predictor of salary than the state where one works. Ranked 101st among national universities by U.S. News, the public Iowa State University offers an AACSB-accredited program at both the undergraduate and Master’s level. The Accounting major at Iowa State University enables students to analyze and report financial data and prepares them for careers in auditing, consulting, budgeting and public accounting. Moreover, students wishing to embark on a CPA career can study for the 30-credit Master in Accounting. This degree provides advanced knowledge in accounting and contains an international component and an independent research project. Iowa State University also offers exciting career development opportunities to accounting students through its internships and Study in London program. In 2011, the college’s MBA program was ranked 3rd in the country in terms of placement rates, with 96.3% of graduates employed within three months of graduation. 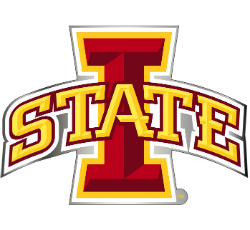 With low tuition fees and a wide range of scholarships available, Iowa State University is an attractive option for accounting students in Iowa. Ranked 73rd in the country by U.S. News, the University of Iowa offers a prestigious accounting program through its Henry B. Tippie College of Business. U.S. News ranks the Tippie College 51st among business schools nationwide, a position warranted by the school’s rigorous AACSB-accredited accounting program. At the undergraduate level, the BBA in Accounting provides students with broad business knowledge as well as technical competence in accounting and general skills such as critical thinking, research and technology use. Moreover, students wishing to become CPAs can earn a Master of Accounting degree while specializing in one of four areas: finances and auditing, management information systems, managerial accounting or tax. Through internships, student organizations such as Beta Alpha Psi and volunteering programs such as the Voluntary Income Tax Assistance program, classroom learning is supplemented with real-world experience and networking. It is thus no wonder that the Tippie College boasts the highest CPA exam pass rate in the state, while top firms including the Big Four regularly recruit Tippie graduates.